The plan for these two iconic Los Angeles institutions to combine forces, first announced in October 2013, was subsequently approved by the University of California Board of Regents and the MPTF Board of Directors. "For the past seven months, we have been working very closely with a talented and committed team at UCLA Health led by Dr. Patricia Kapur, executive vice president of the UCLA Health System and CEO of the UCLA Faculty Practice Group, to bring MPTF’s outpatient health care system into the UCLA Health System constellation," Beitcher said. "We have found Dr. Kapur and her team to be absolutely remarkable and feel very confident that with them we have figured out the best approach to future-proofing the delivery of high-quality health care to our entertainment industry community." "The partnership between these two institutions means that entertainment industry members and their families can continue to receive the highest-quality health care at MPTF facilities, with the added advantage of being able to access UCLA’s world-renowned specialty care and inpatient services," said Feinberg, who is also CEO of the UCLA Hospital System. "UCLA’s commitment to operating the health centers exclusively for the use of entertainment industry members, with the same physician group and the same clinical staff at the same locations that MPTF members have come to rely on is a positive outcome for all." "The UCLA Health System is enthusiastically looking forward to welcoming the MPTF ambulatory health-delivery system, its expert physicians, its dedicated staff and its important referring physician network to our clinical care team," said Kapur. "UCLA already has much in common with our MPTF colleagues in the way we deliver care, with a patient-centered approach being a fundamental principle of both organizations. We all anticipate a smooth integration of the MPTF health care teams." The outpatient health system will be co-branded by the UCLA Health System and MPTF and will operate out of the five existing MPTF health centers with the same primary care physician group and clinical staff serving the entertainment industry exclusively. Dr Janice Spinner, current chief medical officer of MPTF, will assume the same role with the UCLA Health System. In addition to the five outpatient health centers, UCLA will operate MPTF’s Health Wheels mobile medical vehicle, which drives directly onto studio lots to deliver care; the Age Well program; physical therapy; and the medical component of the palliative care program. UCLA Health System will also continue to operate MPTF’s Bridge to Health program, which offers a low-cost medical visit for entertainment industry members who are uninsured or underinsured. MPTF will continue to own and operate the renowned Motion Picture Country Home in Woodland Hills, along with its 40-bed skilled nursing facility, 30-bed Alzheimer’s unit, Harry’s Haven, the soon-to-open Samuel Goldwyn Jr. Center for Behavioral Health, and its many social services programs for industry members of all ages with critical needs. MPTF has served for 90 years as a beacon of hope for entertainment industry members in their time of need. As a charitable organization, MPTF provides financial assistance and services essential to the well-being of the community and is a leader in the development and implementation of services and programs for seniors and those who care for them. MPTF is supported by the generosity of corporate donors and fellow entertainment industry members who contribute their time and money because they believe in the critical importance of Hollywood helping Hollywood. 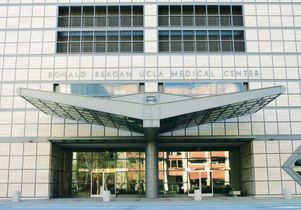 The UCLA Health System has for more than half a century provided the best in health care and the latest in medical technology to the people of Los Angeles and the world. Comprising Ronald Reagan UCLA Medical Center; UCLA Mattel Children's Hospital; the Resnick Neuropsychiatric Hospital at UCLA; UCLA Medical Center, Santa Monica; and the UCLA Medical Group, with its wide-reaching system of primary care and specialty care offices throughout the region, the UCLA Health System is among the most comprehensive and advanced health systems in the world.